It's the end of January and we begin our countdown to "show time". March will be a busy month for Fire Foxes Glass. On Sunday, March 11th we do our home base show - Bead Bonanza in Southfield, IM. And our big whoop for this year is that we head out to Santa Fe, NM for BeadFest Santa Fe, March 15-18th. We are quite excited about this show. Forgive the picture quality and take a look at the details on these leopard faces. 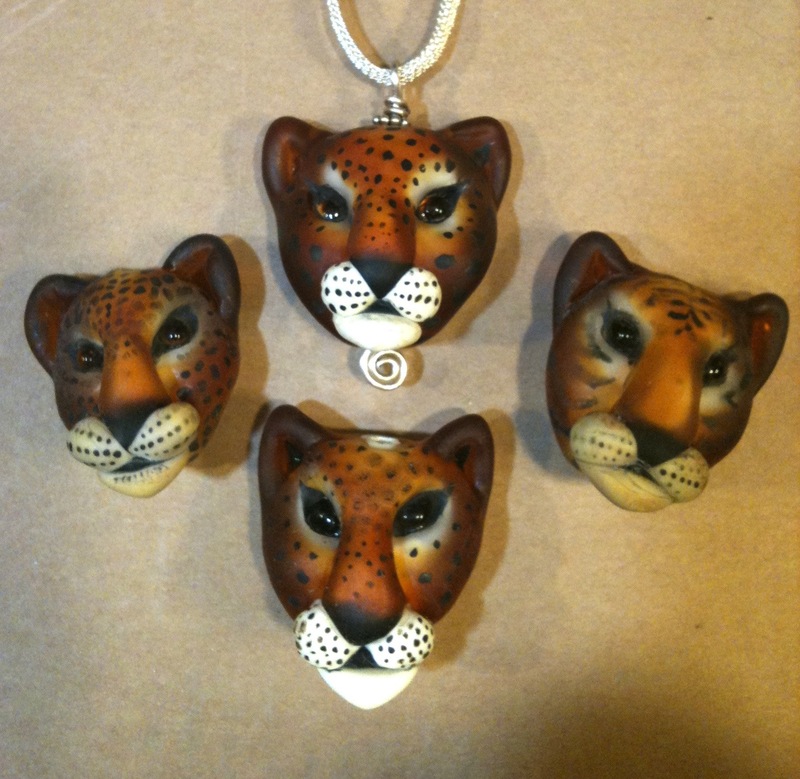 These are byJoy Cichewicz, who makes dynamite animal heads. These and more will be available at the shows.